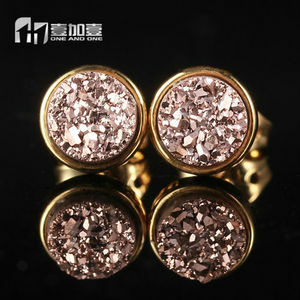 Here panyu jewelry factory are micro pave cz huggie earrings jewelry, not hand casting or handmade jewelry. 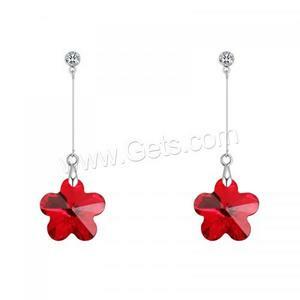 2: Are you factory or wholesaler or trading company9 We're direct jewelry manufacturer, please check our infomation, it writes: Manufacturer. Only wholesalers or trading company sell stock goods, send to you in shorter time, but price quite higher than ours. 5.We can offer the best price for you according to your market. You could mix order with different color or styles as you need if the order quantity is ok. We can give reasonable discounts according to your order quantity. Item specifics: 12 Pair Crystal Pearl Earring Set Ear Stud Jewelry Gift For Women jewelry Hot sale women earrings OEM plating color designs is ok Cheapest shipping (door to door service) Nickle and lead free is avaliable Material: alloy with rhinestone women earrings stud MOQ: 240pairs mixed women earrings stud Color: as u requested women earrings stud Package: 1pc/oppbag, 12pcs/big oppbag, outer is standard carton Design: fashion, OEM design is ok women earrings stud Shipping: cheapest DHL/FEDEX/UPS to U within 5-7days Delivery time: 15-20days women earrings stud Samples: sample fees and shipping fees paid by the buyer Shipping: Feature: Fashion and innovative design&unique style Micro paved, large size pendant with the back, good plating Best quality, provide QC team OEM service, after-sale service,QC team Quality Control: Professional technicians check every products in streanline Experienced jewelry workers examine each step of inlaying every stone Our techniacians check products again before packing Notice: the price on alibaba is only for referrence so it may be different from your order price Because price often varies due to many factors such as different material, exchange rate and so on please consult us for exact price, thank you for your understand Thank you for your attention, if any comments, pls contact us by calling/email / trade manager/ skype/ MSN or any way you like . 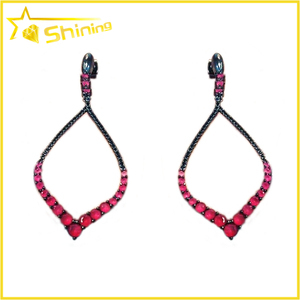 Yiwu Tuofeng Accessories Co., Ltd.
Shenzhen Enqi Jewelry Co., Ltd.
For our ready stock jewelry, we don't have requirement on minimum order quantity. For order on ready stock jewelry, goods will be delivered within 1-2 days since payment receipt date. We are looking for customers around the world for our coherent goal! 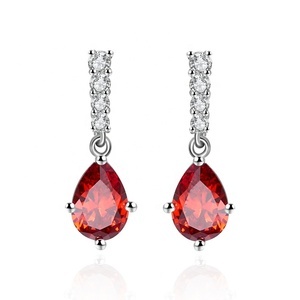 Alibaba.com offers 721 brass red crystal earring products. About 71% of these are earrings, 17% are copper alloy jewelry, and 8% are zinc alloy jewelry. 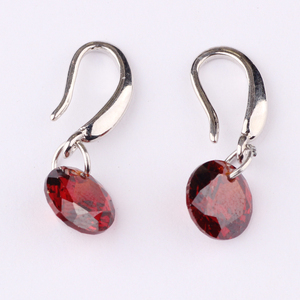 A wide variety of brass red crystal earring options are available to you, such as free samples, paid samples. 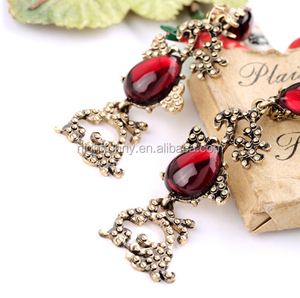 There are 642 brass red crystal earring suppliers, mainly located in Asia. 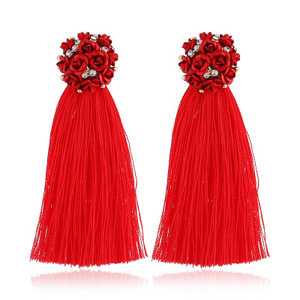 The top supplying countries are China (Mainland), Hong Kong, and India, which supply 91%, 4%, and 3% of brass red crystal earring respectively. 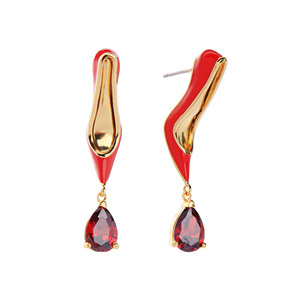 Brass red crystal earring products are most popular in North America, South America, and Northern Europe. You can ensure product safety by selecting from certified suppliers, including 65 with Other, 16 with ISO9001 certification.